After a slightly longer blogging ‘vacation’ than I had intended, I used some of the Christmas break to catch up on the posts I missed. Like many others, I particularly enjoyed the Gulag Boss discussion. 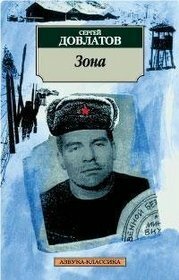 It motivated me to start re-reading one of the few other texts I know written from the perspective of a camp worker, rather than a prisoner: Sergei Dovlatov’s wonderful The Zone. For Dovlatov, whether a person ended up as prison guard or prison inmate was largely arbitrary: ‘Love stories often end with prison. I just got my doors mixed up, and instead of ending up in the prisoners’ barracks, I landed in the army ones.’ As Mochulsky does in Gulag Boss, Dovlatov thus reminds us that many of those working in the camp had not volunteered for this role; for those, like Dovlatov, who were there as part of their military service this is particularly true.2 But his position is of course ultimately very different from Mochulsky’s. Unlike Mochulsky, he sees no ideological purpose to the camps, no meaningful distinction between guards and prisoners: instead, all he sees is ‘cruelty as senseless as poetry, violence as common as dampness.’ Perhaps most shocking for the reader familiar with memoirs from Stalin’s victims is that this violence is committed by inmates as often as by guards, and Dovlatov frequently fears for his life. This entry was posted in Gulag, Gulag Boss, Russian Literature, Uncategorized. Bookmark the permalink.